I studied History of Art at UCL (1987-1990) and have a PhD from the University of Leeds (Department of Fine Art, 1995). I have taught art history and theory at the Slade since 1995. I am Faculty Graduate Tutor for Arts & Humanities (since September 2014). My history of academic appointment includes a year as Henry Moore Fellow in the History of Sculpture in the History of Art Department at UCL (1996-97) and, since 2015, as visiting professor of the history of sculpture at the University of Lincoln. I have been on the editorial board of the Sculpture Journal since 2000 and a member of AICA (international association of art critics) since 2014. My career has been spent mostly in departments of fine art and working alongside practising artists. I write, curate and lecture on aspects of land art and sculpture for a broad constituency that includes the public audiences of art galleries, museums and other arts organisations as well as academic contexts. I have a strong commitment to public engagement and to communicating and developing scholarship and understanding of art related to landscape and environment in public arenas and artistic communities internationally and locally. I have given lectures and public talks on land art and related subjects at galleries, museums and universities in the UK: including Arnolfini, Bristol; Northlands Glass, Lybster, Scotland; Yorkshire Sculpture Park; Jerwood Space, London; National Museum of Wales, Cardiff; Coventry University; University of York; University of Southampton and University of Warwick and abroad: including Hong Kong University; UNTREF, Buenos Aires, Argentina; Rice University, Houston, Texas; California State University, Long Beach and the Getty Research Institute, Los Angeles, USA. 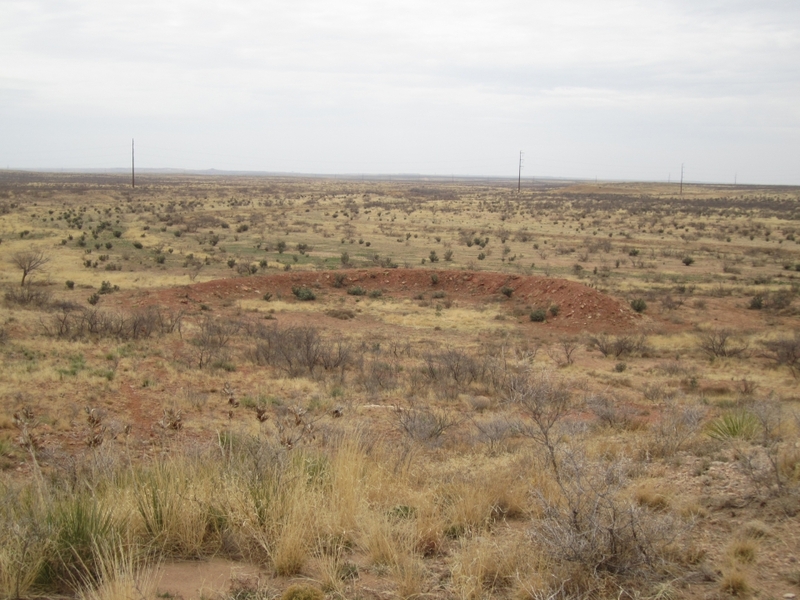 My research concerns the histories of sculpture and landscape, especially land art, a contested field of art practice that continues to inspire artists and provoke debate among scholars. Land art was one of a cluster of new terms that emerged in the late 1960s to describe art works made with a new attitude to an old (and, to some, distinctly old-fashioned) area of art making: landscape. In the 1960s artists began to produce new and challenging works made directly in and of the stuff of the landscape. This has been my area of research interest since 1990 and I am acknowledged as an expert in the field and on land art in Britain in particular. Since 2006 I have also worked collaboratively on land art. Initially (2006-08) in an AHRC-funded research network as part of the AHRC's Landscape and Environment programme, and subsequently with the two other steering committee members of the network (Nicholas Alfrey, University of Nottingham) and Ben Tufnell (independent writer, curator and gallerist), the Arts Council Collection and Hayward Touring as co-curators of the the exhibition Uncommon Ground: Land Art in Britain 1966-1979, the largest survey of this kind of work in Britain to date. It toured to four UK venues between May 2013 and June 2014. Since my doctoral studies in the early 1990s my work has sought to challenge a persistent view in much literature on land art that this work was predominantly American, with sub-movements in other parts of Western Europe (mainly in Britain, Germany and the Netherlands). I aimed first to re-emphasise the crucial contribution of British artists to land art's formation and to re-appraise the crucial contribution of Anglo-American and other international artistic exchange (particularly across Europe and North America) in the emergence and development of this new art of landscape. Over the last decade or so my work on Anglo-American artistic relations has taken me to the USA and more recently, in a pattern perceptible across much art historical research into twentieth century and contemporary art, my research has embraced a wider context that both extends and challenges the dominant Western focus, looking, for example, to South America (Argentina) and Asia (Hong Kong). In 2012-14 I was a project researcher for Lawrence Alloway: Critic and Curator at the Getty in Los Angeles, one outcome of which, a book published in 2015, includes my chapter exploring the relationship between Alloway and one of the pioneers of land art in America in the 1960s, Robert Smithson. Since 2013 I have been advisor for an exhibition, David Lamelas: A Life of Their Own, at the Art Museum of California State University, Long Beach as part of the Getty's initiative Pacific Standard Time: LA/LA (Los Angeles/Latin America). Lamelas was one of the artists included in Uncommon Ground, as was the South African-based sculptor Roelof Louw who is the subject of my book project, Five Sites for Five Sculptors: Roelof Louw and British Sculpture since the 1960s (Ridinghouse). In my role as Head of Taught Courses in History and Theory of Art at the Slade I am responsible for leading and co-ordinating the History and Theory component of undergraduate and graduate (MA) Fine Art courses. I work with my colleagues devising and developing a programme that is integral to the studio-based courses at the Slade and which supports and informs students' study of fine art practice, theory and history. Together with my colleague in History and Theory of Art, Amna Malik, and visiting teaching fellows, we offer a research-based programme that is responsive to current developments in fine art and serves to introduce students to the challenging international contexts which inform and locate their art and in which, as professional artists, their work will be understood and contextualised. My current teaching includes leading and co-teaching (with studio staff) an introductory course for all first year undergraduate students (BA and BFA) and an MA course called Art Writing / Writing Art which takes both theoretical and more practical workshop approaches to writing. In 2015/16 this course incorporated a component on art writing in a time of climate change, considering recent - and not-so-recent - writings on topics such as global warming and the Anthropocene as they relate to writing and the practice of fine art. I supervise undergraduate Independent Studies and MA research essays and reports and mentor and manage postgraduate teaching assistants teaching on history and theory of art courses at undergraduate level at the Slade. Victorian Greenwich resident Richard Jefferies’ prescient 1885 novel, After London imagines the site of London as a contaminated forbidden zone, a flooded swamp, which, now poisoned, swallows up unfortunates and the unwitting in search of treasure. As such, it finds a late 20th Century echo in the Zones of the Strugatsky Brothers' Roadside Picnic, Tarkovsky's Stalker, the 1986 Chernobyl disaster, and continued relevance in the context of climate change today. Using the novel as a starting point, visual artist John Timberlake and writer and art historian Joy Sleeman have developed a dialogue around their shared interests of landscape art, science fiction, and the changing perceptions of London’s doom. Fascinatingly, whether in fears of poisonous swamps, a nuclear bomb smuggled in a ship, or rising oceans, the Thames has remained a central element in these spectral fates. Both Joy Sleeman’s critical writing and John Timberlake’s montage images reflect their shared interest in the changing nature of visualising landscape, from the ground based views of dioramas to the surveyed zones of aerial and satellite imaging, whilst also exploring the transformative role of imagination in forming our perspectives on the world. Timed to coincide with the fortieth anniversary of the Apollo 11 mission and the first landing of men on the moon, this exhibition brings together the work of two artists who have addressed the idea of the connections between earth, space and the moon. It sets up a dialogue between a seminal work of 1969 by David Lamelas, his film A Study of the relationships Between Inner and Outer Space, and a very recent work, the boldly-conceived installation by Katie Paterson Earth-Moon-Earth (Moonlight Sonata Reflected from the Surface of the Moon). Other works, documents and objects were included in the exhibition to suggest some of the contexts in which the two main works might be understood. These ranged from images and commemorative ephemera of the Apollo era to works by artists of the late 1960s and early 1970s, showing how they engaged with a sense of a suddenly expanded world, but also one in which the paradoxical legacy of the Apollo missions was a rediscovery of Earth itself. Other works looked back to earlier visions of the moon in British art and science. Two pastel studies of the moon by the portraitist and amateur astronomer John Russell were particularly notable. An abbreviated version of the keynote presentation given a the 'How forest art works: Forestry Commission England staff conference', September 2016. Published to accompany Jerwood Open Forest, an exhibition at Jerwood Space, 171 Union Street , London, 2 November - 11 December 2016. 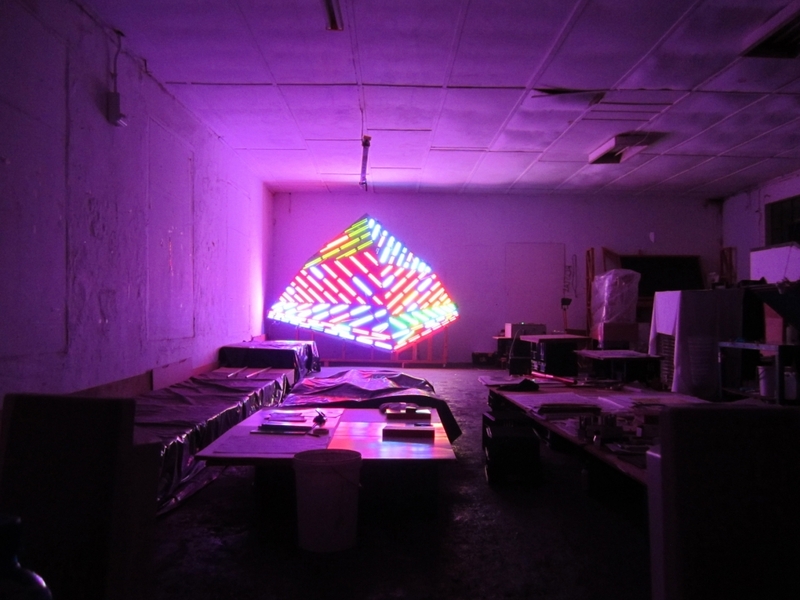 The artists in the exhibition were: Rebecca Beinart, Magz Hall, Keith Harrison, David Rickard and David Turley. The nine essays in this volume depend on primary archival research, much of it conducted in the Lawrence Alloway Papers held by the Getty Research Institute. 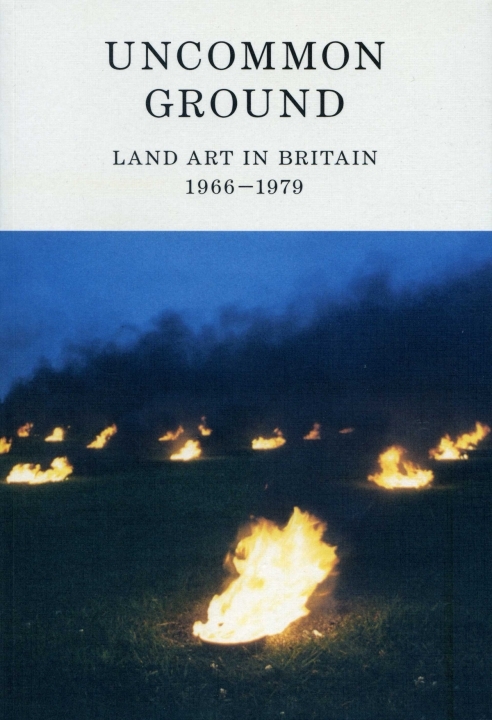 Published on the occasion of the exhibition Uncommon Ground: Land Art in Britain 1966-1979. Touring to Southampton City Art Gallery, 10 May - 3 August 2013; National Museum of Wales, Cardiff, 28 September 2013 - 5 January 2014; Mead Gallery, University of Warwick, 18 January - 8 March 2014 and Longside Gallery, Yorkshire Sculpture Park, 5 April - 15 June 2014. Exhibition curated by Nicholas Alfrey, Joy Sleeman and Ben Tufnell. Exhibition organised by Jill Constantine and Vanessa North. "First published on the occasion of the exhibition ... Royal Academy of Arts, London, 22 January - 7 April 2011"-- T. p. verso. Book description: Anglo–American Exchange in Postwar Sculpture, 1945–1975 redresses an important art historical oversight. Histories of American and British sculpture are usually told separately, with artists and their work divided by nationality; yet such boundaries obscure a vibrant exchange of ideas, individuals, and aesthetic influences. In reality, the postwar art world saw dynamic interactions between British and American sculptors, critics, curators, teachers, and institutions. Using works of art as points of departure, this book explores the international movement of people, objects, and ideas, demonstrating the importance of Anglo–American exchange to the history of postwar sculpture. Catalogue published in conjunction with the exhibition Earth-Moon-Earth at the Djanogly Art Gallery, Lakeside Arts Centre, University of Nottingham, 20 June - 9 August 2009. Curated by Joy Sleeman (UCL) and Nicholas Alfrey of the Department of Art History at the University of Nottingham, and linked to the activities of an AHRC-funded Research Network on Land Art and the Culture of Landscape, 1967-77. The exhibition was organised by Neil Walker, Visual Arts Officer, Djanogly Art Gallery. It was timed to coincide with the fortieth anniversary of the first Apollo moon landing and conceived as a dialogue between a key work of 1969 by David Lamelas, his film, A Study of the Relationships Between Inner and Outer Space, and a very recent work by Katie Paterson Earth-Moon-Earth (Moonlight Sonata Reflected from the Surface of the Moon) 2007. The catalogue has an introduction by the two curators and two essays: Alfrey, 'Transmission, Reflection and Loss: Katie Paterson's Earth-Moon-Earth (Moonlight Sonata Reflected from the Surface of the Moon), pp. 7-15; and Sleeman, 'Anticipation, Information, Mediation: David Lamelas's A Study of the Relationships Between Inner and Outer Space in 1969', pp. 19-33. Land art and NASA’s Apollo project share an historical moment. In the period of Apollo missions 1 to 17, between January 1967 and December 1972, most of the key works and exhibitions that have come to be identified as the founding instances of earth, earthworks or land art happened. Despite vast differences of scale and audience, 40 years ago both the moon and land art became new objects broadcast on television. This article offers an oblique view of land art from a Eurocentric and British perspective, exploring contingent relationships rather than obvious ones and prioritizing works that usually feature on the peripheries of standard accounts, often with a more ‘domestic’ or quotidian scale and reference than the oft-repeated monumental and iconic works.The author considers a range of issues — including colour, materiality, temporality, place, space, geography — and contexts in which the moon, moon landing and land art were caught back in 1969 and through which they might be recaptured meaningfully in the present. A conference organised with Amy Cunningham, MA student at UCL Slade School of Fine Art.. My contribution also included a paper titled 'Intimate Encounters'. paper entitled 'Sculpting silence: speaking sculpture'. An international conference exploring relationships between words and sculpture, focusing on three main strands of inquiry: sculptors' words, words in and as sculpture and words about sculpture. 22 speakers over 2 days, with a performance, 'Specific Sight', by musician and composer Christopher Fox and a selection of films by Marcel Broodthaers. Organised as part of my Henry Moore Fellowship in UCL History of Art, and supported by funds from UCL Department of History of Art, the Henry Moore Foundation, the British Academy and UCL Graduate School. 'Project for Frieze by Philip J Reilly', essay for an exhibition catalogue. paper entitled 'Wordsworthian sermons in sticks and stones placed at my feet by a man who likes walking: Long walks in the landscape, a view from the 1970s'. 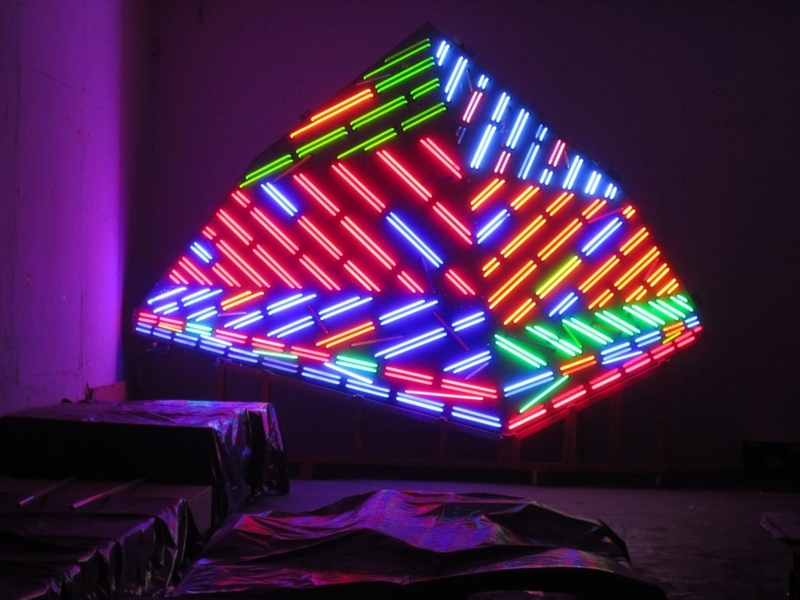 An essay commissioned to complement 'William Tucker: six sculptures', an Arts Council Collection spotlight exhibition. Published to accompany the tour of the exhibition which began at Leeds City Art Gallery, 16 February - 1 April 1995.